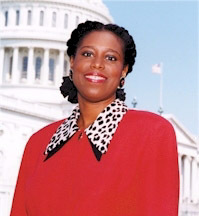 The altercation between Congresswoman Cynthia McKinney and a Capitol Hill police officer is a classic 'Crash' moment for anyone familiar with the film. Matt Dillon and Thandie Newton are both culpable as characters in the film just as McKinney and the officer struggled to exert their authority over each other. The officer was wrong to touch the congresswoman and she was wrong to strike him with her cell phone. Although the incident should have ended with apologies from both, lawyers and 'Inside-the-Beltway political machine operatives plus the media have turned it into a full blown circus. Danny Glover and Harry Belafonte even joined in with McKinney at her first press conference about the incident. Fox News salivates at the hint of a McKinney press conference. As Matt Dillon said in the movie: "You think you know who you are. You have no idea."